MyTeksi, an e-hailing app for taxis, was launched in Kuala Lumpur on June 5, 2012. On May 16, 2014, MyTeksi added GrabCar to its app, so that customers can opt for premier service and the addition of vehicles other than taxis increased supply in the market. In January 2014, the general manager for Uber in Southeast Asia Mike Brown told reporters that Uber Black limousine service was already available in Kuala Lumpur and UberX, a cheaper service, would be introduced later. On August 7, 2014, UberX entered the Malaysian market and stole the thunder from MyTeksi by offering cutthroat rates with RM1.50 as starting fare, RM12 per hour and 55 sen per km, when regulated fares for budget taxis were RM3, RM17.14 and 87 sen respectively. MyTeksi was forced to take Uber by the horns and added private cars to its app and gave its fierce competitor a run for the money. 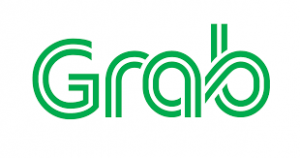 On January 28, 2016, MyTeksi was rebranded into Grab, which had expanded to other services such as GrabTaxi, GrabCar, GrabBike, GrabHitch and GrabExpress. 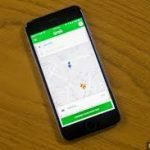 On March 26, 2018, Grab announced that it will acquire all of Uber’s Southeast Asia assets, confirming rumours that have been floating around the highly competitive ride-hailing market. By then, many local e-hailing apps have sprouted. Earlier on August 16, 2016, the Cabinet had approved 11 new initiatives in the Taxi Industry Transformation Programme prepared by the Land Public Transport Commission (SPAD) that included e-hailing service using private cars. On July 27, 2017, amendments to the Land Public Transport (LPT) Act 2010 and the Commercial Vehicles Licensing Board (CVLB) Act 1987 were passed in the Dewan Rakyat to regulate e-hailing services. 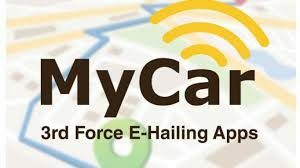 E-hailing service providers were given up to one year to adjust to the regulations stipulated under the law, including obtaining the “Intermediation Business” licence from SPAD in Peninsular Malaysia or CVLB in Sabah and Sarawak. Almost a year later, Transport Minister Anthony Loke said all e-hailing companies must register with SPAD and comply with a set of regulations starting from July 12, 2018 but gave the industry a one-year grace period. With July 12, 2019 fast approaching, no concrete decisions and steps have been taken, as indicated in the recent statement issued by Grab on March 12. What was clear is that all e-hailing drivers must obtain a Public Service Vehicle (PSV) licence. In order to do that, they must be Malaysians above 21 and possess a valid competent driving licence (CDL) and minimum class D for vehicles not exceeding 3,500kg. Other than taxi drivers with vocational licence switching to e-hailing using private cars, private car drivers are waiting for a cheaper and faster way to obtain their PSV licence. Grab’s statement revealed that the new training module would only be available from April 1. If so, it would be near impossible for all e-hailing drivers, which may number 258,000, to obtain their PSV licence in less than four and a half months. The new PSV training module may include six hours of classroom training and an hour written test with 60 questions, with the passing mark at 80 per cent. Apart from authorised driving schools, Grab has also applied for approval to be a training provider. It should be noted that nearly all so-called training programmes in the market are merely briefing sessions, with slides and video presentations, which are understood by most of the audience but easily forgotten within a very short time. Training will be much more effective if learning takes place before attending the programme by providing the presentations and notes to trainees upon registration, so that they can go through first and seek clarifications during training. As trainees must learn to perform, there must be a practical exercise and assessment during the six-hour classroom training to ensure they have the necessary skills and perform to minimum standards or higher. Knowledge based on understanding, memorising and articulating information could be learned online but not skills and attitude, which could be assessed by body language and interpersonal communication skills. A driver seen in a photo or video can turn out to be very different in person. After passing a written test, medical exam and background check, a Kad Pemandu Elektronic (EKP) and Electronic Vehicle Permit (EVP) will be issued by APAD/CVLB, and the road tax sticker to be changed to ‘AH’ for e-hailing by Road Transport Department (RTD) without charge. As e-hailing vehicles are private and not commercial vehicles like taxis, there is no 50 per cent discount for tolls, and e-hailing cover must be added on to their private car motor insurance, and still enjoy much cheaper insurance premiums than taxis. And only vehicles that are more than three years need to be sent in for initial inspection followed by annual inspections. Other matters are still work in progress and nothing has been confirmed. It was only on March 4 that the first formal briefing was conducted at RTD. The views expressed are those of the author and do not necessarily reflect the official policy or position of the New Sarawak Tribune. Regulating e-hailing service at a snail’s pace 0 out of 5 based on 0 ratings. 0 user reviews.